Wag ‘N Wash offers a service that is Extra-Special! To provide a professional, clean, stress-free environment where pet owners can bathe and dry their pets with ease and efficiency. Our service is highly specialized. We are not an assembly line grooming shop which means that your pet is given an appointment time and we guarantee your pet can be picked up within two to three hours of drop off. We do 7-10 dogs per day; your dog is very rarely kept in a cage but on a counter where he can feel comfortable albeit that is why our prices are higher than the average grooming establishment. We regard all animals as a top priority and we pamper them as if they were our very own. This should make you feel comfortable with our services . “If you want us to baby sit your dog all day, we are not the place for you.” If you are looking for a professional and caring groom for your pet, please do call us for an appointment; we won’t disappoint you. Animals have emotions and can occasionally feel anxious too.We diffuse a variety of essential oils in the shop to keep your pet calm and balanced. The use of essential oils aids the groomer and the bather too. If a pet is extremely nervous, we use a combination of Lavender essential oil on the grooming post accompanied by a few drops of Bach Rescue Remedy ®. Bach Rescue Remedy ® for pets is an alcohol-free formula. These drops can be put in your pet’s water bowl, rubbed on his belly or dropped in his mouth. We suggest if you have an nervous pet to give to your dog 15 minutes before arriving at Wag ‘N Wash. The first thing to do is visit your vet even if you can’t see anything physically wrong with them. Changes in behavior are sometimes the first symptoms of a problem that may require medical treatment. Once you have the all-clear you may find RESCUE® Pet helps your pet cope with being separated from you, traveling in the car, or taking that next trip to the vet and your groomer more easily. Check out our New Spa Services! Please DOWNLOAD, REVIEW AND SIGN our “Client Grooming Agreement” prior to your grooming appointment. These policies are for the protection of your dog! 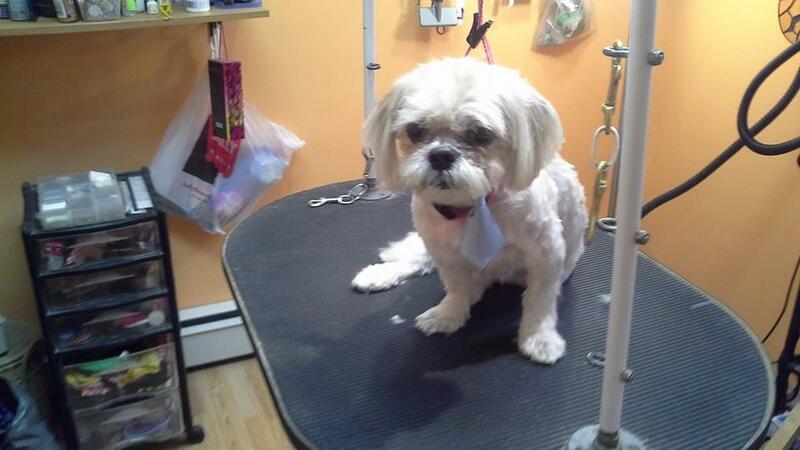 We also offer full-service grooming. We do not use cage dryers. All dogs are dried by hand with our professional high velocity or fluff driers. Every pet grooming includes a therapeutic massaging bath with our hydromassager, nail trimming, ear cleaning, pads trimmed, medicated shampoo when necessary, cologne, bandanna or bow. Pricing is based on breed, behavior and condition of coat when pet is checked in. NOTE: Before we groom your pet, our Client Grooming Agreement must be signed. For detailed info on our grooming standards, go to our Full Service Grooming details page. Washing a dog can be a messy business especially in cramped city apartments and even in your bathroom. Wag ‘N wash will now take the hassle out of cleaning the mess. No more chiropractic visits, plumbing bills and cleaning hair from bathroom stalls. You just bring the dog in and we clean up the mess. And it will be inexpensive to keep your dog clean! Self-service or “do it yourself bathing” is only $19 for the first half hour and $7.00 for each additional quarter hour after that. The FURminator De-shedding Program.Please note: We only use natural shampoos. 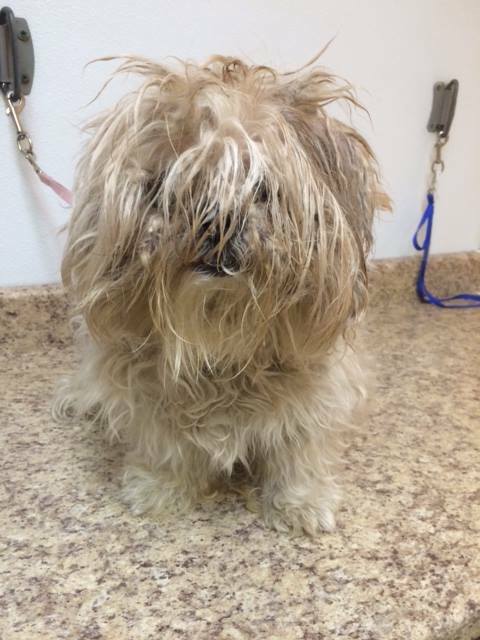 Improve the appearance of your pet and your environment by requesting the 4-Step FURminator Shed-less Treatment available at Wag ‘N Wash. We are an authorized facility and our staff is trained and skilled at using this program on your pet. This is a specialized anti-shedding treatment that dramatically reduces the mess and clean up of unwanted pet hair. 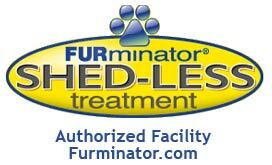 For detailed info on the FURminator Treatment, go to our “Individual Special Service” page. Please call for an appointment today and understand that this service is in addition to the price of your pet’s regular groom.